Let us not forget that over the twelve years that evo had absolute control of ALL State powers, over 700 Bolivians fled the country, due to his relentless political persecution. His intent to remain in power only demonstrates he is turning into an autocrat and our democracy is in peril! The above is the opinion of Bolivian Thoughts. More than 100 personalities, through a public statement, expressed their support for Mayor Soledad Chapetón and lamented that as women advance in the exercise of political rights, political violence increases proportionally. 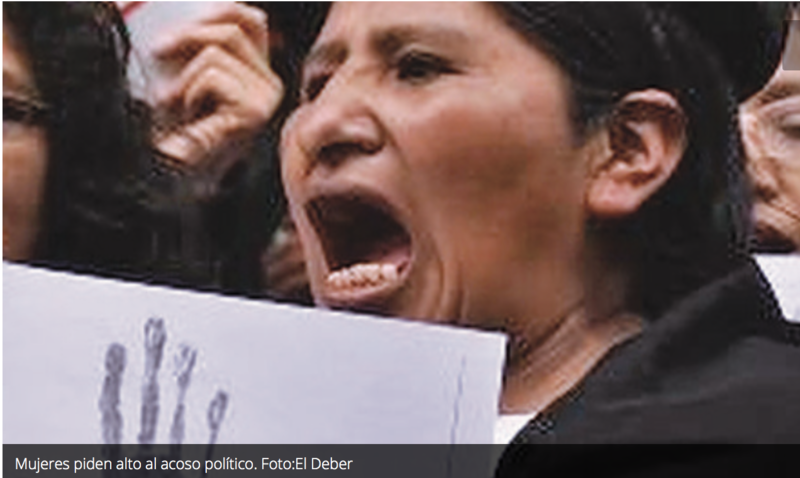 “Six years after the Law against harassment and political violence against women continues, the denunciations continue, lost in the judicial courts in the midst of absolute impunity,” reads the statement signed by Jenny Ybarnegaray Ortiz, Jimena Freitas Ocampo, Jimena Rojas Silva and Erika Brockmann, among other signatories. According to the statement, Chapetón, from the beginning of his administration, “is the target of constant attacks, because the MAS, hegemonic party of the central power, does not resign having lost one of the most important political plazas in the country, which they considered ‘their bastion'”.